People are naturally drawn to a waterfront, especially where there is easy access, an interesting view, and space to walk along the shore or gather with friends. City parks and open space improve our physical and psychological health, strengthen our communities, and make our cities and neighborhoods more attractive places to live and work. We're working to increase parkland and trails to connect Cleveland neighborhoods with Lake Erie at Whiskey Island. Our Parks for People–Cleveland program is committed to ensuring that everyone—in particular, every child—enjoys access to a park, trail, or green space. 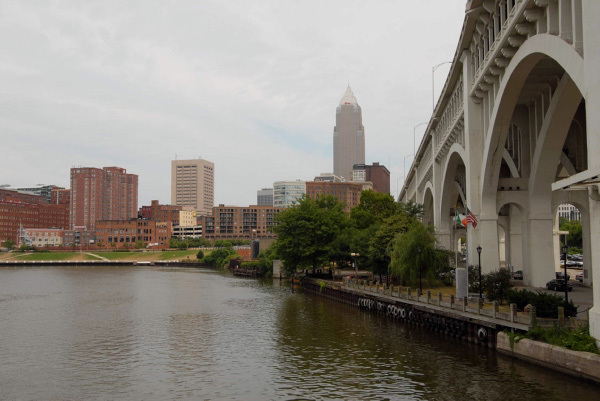 Right now, there's growing enthusiasm for creating a central civic gathering place in downtown Cleveland along Lake Erie. Similar to the well-known Grant Park in Chicago, a recreational corridor along Cleveland's lakefront will accommodate large public gatherings and offer green space for people to enjoy.